In a few days, students will again fill the halls of our schools with anticipation and excitement to begin the new school-year. I share their enthusiasm and feel confident we are going to have a wonderful year! Due to construction, parking for Friday night's Varsity Football game in White Oak is going to be limited. White Oak ISD has established overflow parking lots to accommodate the parking limitations. Air quality specialist have confirmed that it is safe for students to attend school at all campuses tomorrow including MMS. 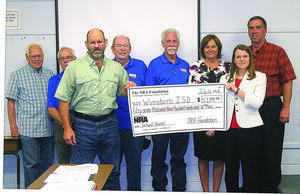 Northeast Texas Friends of NRA presented WISD with a grant to improve school safety. Please visit our Transportation page to view the approved bus routes for the 2018-2019 school year. It's that time of year to start shopping for school supplies! We are so excited to see you at "Meet the Teacher" on Tuesday, August 14th. Don't forget that school starts on Thursday, August 16, 2018. See you soon! Starting Monday, February 26th 2018, Everyone coming onto a WISD Campus will need a Proper Form of Identification to show the Front Office. 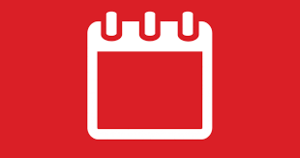 Also, there will be a Licensed Police/Law Enforcement Officer on Each WISD Campus from 7:30 AM until the end of the school day. Building relationships and trust between all of our students, parents, and community is essential to ensuring safety for all.